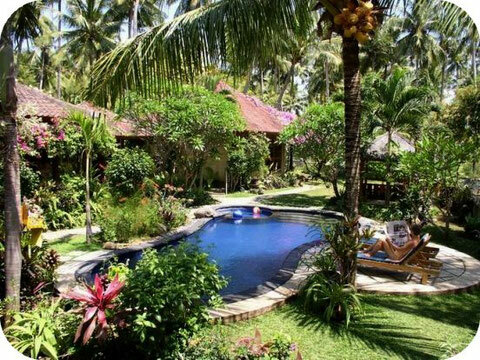 surrounded by pure nature and balinese life. Are you looking for a good value holiday house / home close to the beach on Bali? We have two beautiful bungalows with a guest kitchen and swimming pool in Kalibukbuk, Lovina, North Bali for you! We, a balinese - german family, live right next-door and will do everything to make your holiday dreams come true.